Lub-dub. Lub-dub. Do you know what makes that sound? It’s your heart of course! Not only is it a symbol for love, our heart is also the core of our bodies. Without its continued beating all of our other major functions wouldn’t work. Circulation wouldn’t occur, and organs wouldn’t get their supply of fresh blood while eliminating the waste. Basically, we need a healthy heart and we need to do our very best to keep it strong for the long-run. So how exactly does the cardiovascular system do its job? Well, think of our bodies as major highways running in two directions. On one end we have the fresh oxygenated blood, which gets pumped from the heart and travels throughout the body through arteries, arterioles and capillaries. On the other end, oxygen-poor blood from our organs gets returned to the heart through veins. This back-and-forth exchange ensures we stay healthy and functioning. There are many ways this key cardiovascular system can be affected and undermined. Being mindful of how we treat our body as a whole can prevent serious illness from striking. Coronary artery disease occurs when the arteries become narrowed and hardened due to build-up, which can occur from cholesterol or plaque. This is the most common form of heart disease and is the leading cause of death in the United States. With build-up narrowing the pathways, it becomes more difficult for blood to pass through and oxygenated blood can’t get to vital organs. This leads to heart failure, which means the heart can’t pump properly and becomes weak. Symptoms of coronary artery disease include chest pains and shortness of breath. The most severe symptom is a heart attack but once that occurs it’s often too late. As we mentioned, a healthy heart should sound like “lub-dub, lub-dub,” but abnormal heart rhythms may be sped up, slowed down or just generally irregular. The beat of our heart is important as it indicates the rate that blood is pumped out. When this is disrupted, we are signaled by abnormal heart rhythms, which could indicate a more serious health concern. Of course, it’s important to keep in mind that different activities can change the rate of your heartbeat. For example, your heartbeat will speed when you are running, as opposed to simply walking. This is normal because your heart is pumping more oxygenated blood to your muscles so you can continue to move. If you’re concerned about your heart rhythms, speak with a doctor and tests like an echocardiogram (ECG) can be done to verify. The heart is comprised of four main valves: Tricuspid, pulmonary, mitral and aortic. Every time the heart beats, the tissues in these valves flap, allowing blood to move around. Heart valve disease involves three issues: regurgitation, stenosis and atresia. Regurgitation occurs when the valve does not close properly, so the blood leaks into other chambers. Stenosis is when the valve stiffens or fuses together and cannot open properly. Lastly, atresia occurs when the valve lacks an opening, so blood cannot pass through. Heart valve disease can occur at birth or happen later in life, depending on lifestyle. Heart valve disease can often be symptomless and cause no issues for the person; on the other hand, it can lead to stroke, blood clots and even death. When the heart muscle is abnormal it is called cardiomyopathy. Your heart has a difficult time performing its role and cannot pump blood or deliver it effectively. This can ultimately result in heart failure. Symptoms may include dizziness, swelling of limbs, fatigue, cough while lying down and chest pain. Because matters of the heart can be serious, if you notice any of these symptoms, it’s best to call emergency assistance right away. Pericarditis is when the pericardium – a fluid-filled sac covering the outside surface of the heart – becomes inflamed. This sac is meant to protect the heart, so when pericarditis occurs the heart may be prone to infection. There are a few different types of aortic disease, including abdominal aortic aneurysm, thoracic aneurysms and thoracic abdominal aneurysms. The aorta is the largest artery and damage can lead to serious health effects. Aorta aneurysms can occur in the lower back (abdominal) or the chest (thoracic). Severe pain occurs in these areas, signaling a weak spot in the blood vessels that can lead to rupturing. Genetics, hypertension, hardening of the arteries and injury can all be contributing factors in aorta disease. A healthy lifestyle can work to prevent such disease from taking hold. We’ve outlined many other illnesses that have the potential to result in heart failure. Although the term failure seems to imply the heart has completely stopped or is failing to do its job, it really refers to a weakened ability. Heart failure occurs when the supply of oxygenated blood does not reach the rest of the body. This is because the heart muscle is simply too weak. To compensate, the heart may enlarge, beat faster or develop more muscle mass. The body will also try to fix this problem by diverting blood away from “less important” parts and instead have the blood go to the brain and back to the heart. This can be quite harmful because other vital organs won’t receive the necessary blood supply, leading to other organ failures. Because the body has its own ways of preventing heart failure, a person may not even be aware that they have an underlying cardiovascular issue. Regular check-ups can prevent a more serious health issue from developing. Congenital heart disease refers to a birth defect of the heart. There isn’t an exact cause of congenital heart disease, but risk may be greater if Down’s syndrome is present, the mother had an infection, or the mother could not manage diabetes. There are four types of congenital heart disease: septal defects, coarctation of the aorta, pulmonary valve stenosis, and transposition of the great arteries. Signs of congenital heart disease are a rapid heartbeat and breathing, excessive sweating, extreme tiredness or fatigue, a blue tinge to the skin and tiredness and rapid breathing while the infant is feeding. Treatment for congenital heart disease can span over the infant’s life and follow-ups are necessary to ensure the heart is functioning properly. Some illnesses that affect the cardiovascular system are present from birth but others result from poor lifestyle choices, such as a lack of physical activity and a poor diet. Therefore, to prevent disease and improve your cardiovascular system overall, it’s necessary to use natural remedies. No matter your age, protecting your heart should be your #1 priority. 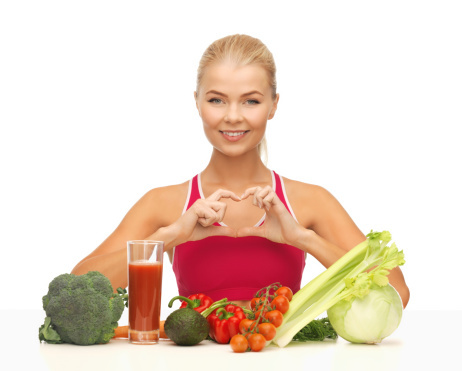 So if you’re looking to boost your cardiovascular system, try these foods and exercises. Our heart is a powerhouse when it comes to our overall health, so maintaining a healthy cardiovascular system keeps us ticking. With the proper diet and exercise, we can prevent heart disease and illness, and we can achieve more vitality in our lives. Can mouthwash give you a heart attack?